Art offers a way of knowing. It’s one among many forms of communicating what we believe to be essential or true. In particular, it can confront social injustices and translate the world to us in unexpected ways. 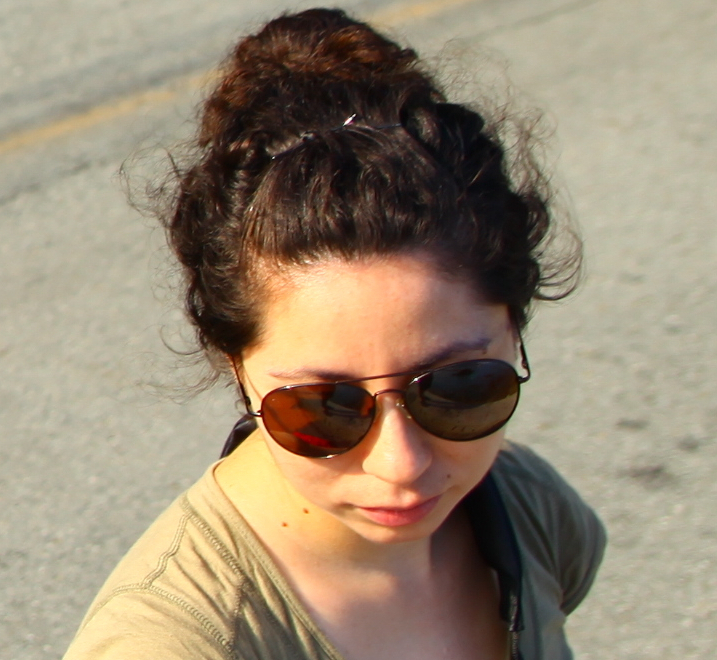 Knowledge is not confined to one genre, one medium, one language, or one space. Knowledge is multiple, embodied, individual, shared. So at Wikimania this year, we wanted to reflect on the many ways in which knowledge exists beyond text. Text continues to be the dominant technological protocol, and even in the age of visual memes and graphics, the dominant form of communication on the internet. That’s why we decided to explore what knowledge means through art, alongside our Decolonizing the Internet conference. 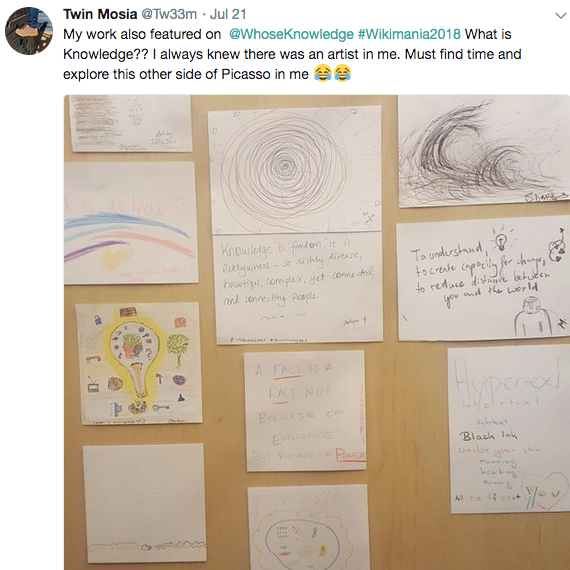 Together with volunteers around the world, we organized the “What is Knowledge?” art exhibition at Wikimania 2018 in Cape Town, South Africa. Thanks to our core volunteer collaborators, Marti Johnson, Thandiwe Tshabalala, and Heather Hart, the exhibition had contributions from around the world, and most particularly from South African artists. 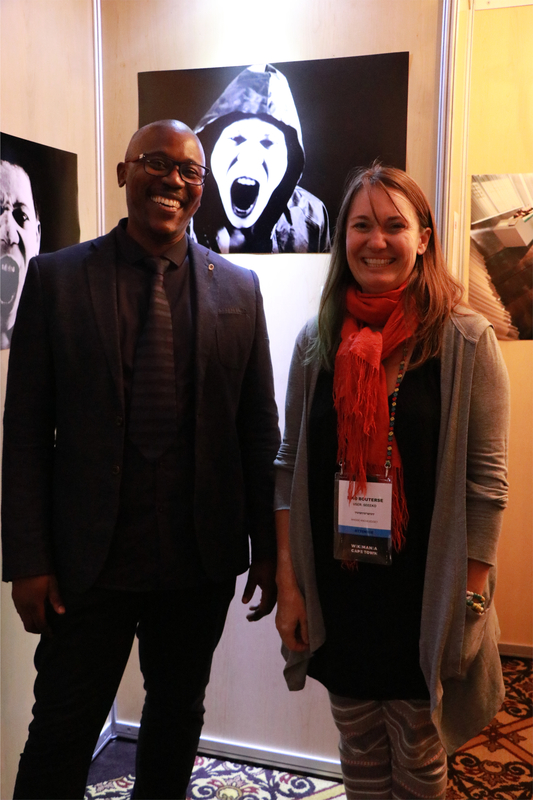 Wikimedia South Africa and the Wikimedia Foundation, in turn, supported the show at Wikimania. We made an open call to all artists who explore knowledge in their own practices, with a particular focus on marginalized communities. We received beautiful pieces of art, in a variety of techniques and with powerful reflections around this topic. Our contributing artists pushed us well beyond our own initial reflections on knowledge; deep gratitude to them all: Anya Ramparsad, Art of Brother, Collagistas Sin Fronteras, JuliArt Cult, Kavita Ramdas, Kgaugelo Rakgwale, Lunga Kama, Manuel Beltrán, Nonkululeko Chabalala, Ramona Cliff and Sanya Samtani. 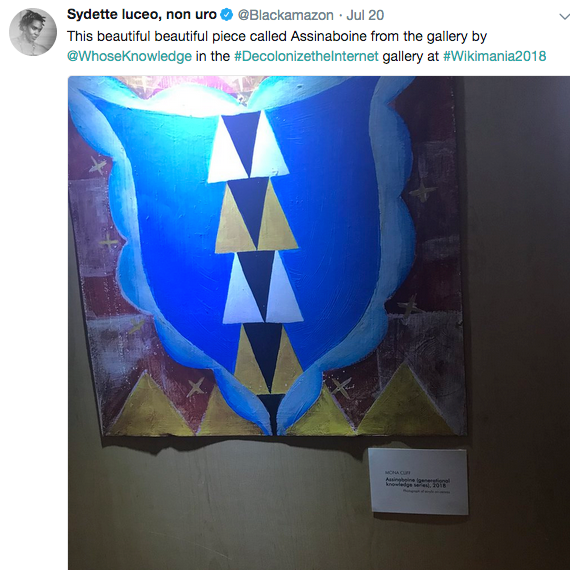 We built an art gallery at the Wikimania conference venue, and for three days we walked the exhibit, took pictures, drew our own responses, and experienced tears and laughter with everyone visiting the exhibition. It’s not every day you encounter an art exhibition at a conference — let alone one that challenges the very premises of what we consider to be knowledge. It was exciting to see how the exhibit, in the hallway next to an escalator at a hotel in downtown Cape Town, caused passersby to pause, contemplate, react. And like Wikipedia, this art exhibition was ‘editable,’ too! As we invited visitors to the exhibition to contribute their own art to the space, new creative responses to ‘what is knowledge?’ started appearing on the walls. We believe art is a critical part of the process of questioning the creation of knowledge and the power structures that command it. We’re convinced that this kind of exploration is essential to asking: whose knowledge is represented on the internet and how? If you were not in Cape Town this July and missed the exhibition, you can now experience it yourself! Visit our virtual “What is Knowledge?” art gallery with works by many of the artists online. Enjoy your visit and let us know what you think!